In the magical land of Hollis Woods, there once lived a little guy named Bearly. He worked in the daytime at the honey mines, where everyone treated him fairly. 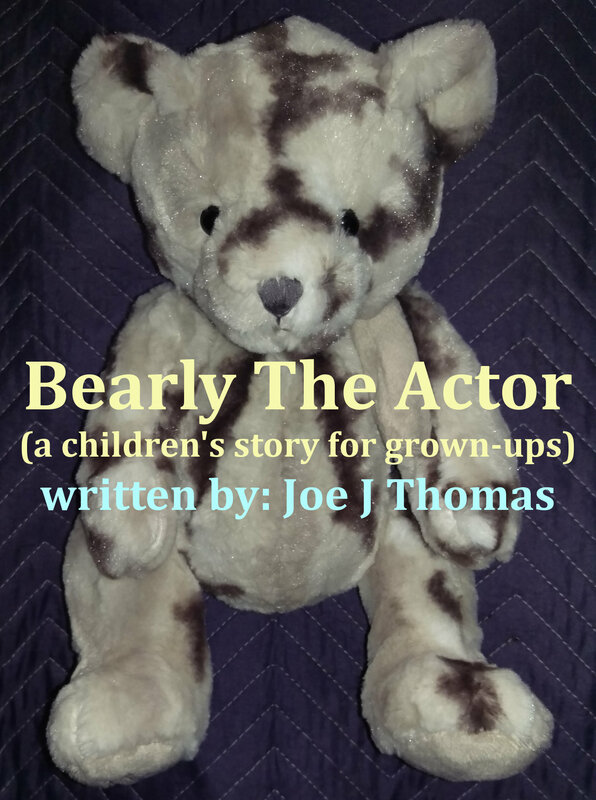 But Bearly’s dream was much bigger than that – an actor was what he wanted to be! With fame and awards and lots of honey in a mansion down by the sea! It didn’t matter that he lacked training, for ambition and raw talent were his! He bought whatever Brandy told him… The future sure looked sunny! But when he awoke he knew Brandy was right! For “Bearly The Mentor” is the path to riches and fame! This entry was posted in Art, Business, Story and tagged Actor, Art, Bearly The Actor, Business, Coach, Mentor, Story by Joe's Dump. Bookmark the permalink. You hit me in the gut with this one.Wow.I was preparing my taxes over the weekend, and looking at all the money I had spent on vo training in 2015,then I went back to 2014.In 2014 I had spent a lot of time and money with a coach,legend and I thought a friend and mentor.Also in 2014 I suddenly was laid off from work,money became very tight, credit hit,ect. ect.,I had to back off training for a good while.Boom fair haired,talented student,friend,ect.status out the door After spending mush mush cash and credit with this person I became a very distant acquantance.I’ve made adjustments in my thinking,spending,investments since then,learned from mistakes, and still learning I’ve met some good honest people in the voiceover business,things are fine. I’ve read many blogs of late about predatory coaching,demo scams, but this was the better of allThank you for the story , I apologize for the rambling comment but this really hit home I will share, GREAT LOL !!! Keep on making up stuff – cause it’s good.